Former UFC heavyweight champion Junior dos Santos is the latest fighter to end up in the United States Anti-Doping Agency (USADA) doghouse, as the 33-year-old Brazilian was notified of a potential doping violation earlier today (Fri., Aug. 18, 2017), per an official UFC statement. Dos Santos was flagged for an out-of-competition drug test stemming from Aug. 10. 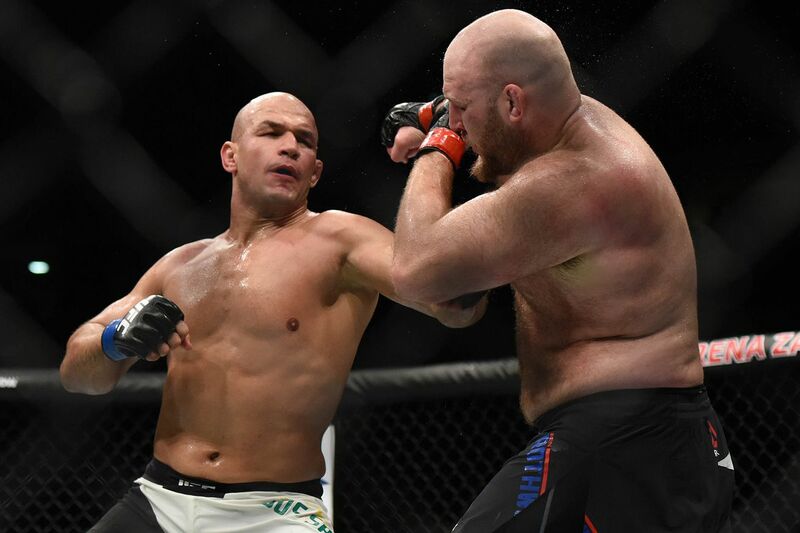 As a result of his potential violation, “Cigano” has been pulled from his upcoming bout with rising title contender Francis Ngannou at UFC 215 on Sept. 9 live on pay-per-view (PPV) from inside Rogers Place in Edmonton, Alberta, Canada. While JDS was looking to rebound from a knockout loss to current UFC heavyweight champion Stipe Miocic back at UFC 211, this news is arguably more devastating for Ngannou. The towering Frenchman was nearing the end of his training camp for UFC 215 as he aimed to lock down a future title shot with a win over a former divisional champ. With just a few weeks left before UFC 215 it’s going to be difficult for the promotion to not only find a replacement willing to fight Ngannou on short notice, but also one who could further propel Ngannou’s growing title worth. UFC 215 will be headlined by a flyweight title fight between current champion Demetrious Johnson and top contender Ray Borg, and also feature a co-main event pitting UFC women’s bantamweight champion Amanda Nunes against talented striker Valentina Shevchenko. Stick with Mania as more updates become available.